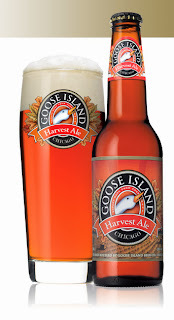 Prairie Grass Cafe, located at 601 Skokie Boulevard in Northbrook, Ill. (telephone 847-205-4433), continues its special October craft beer celebration tonight (Tuesday, October 29) featuring Goose Island Brewery. Beginning at 5 p.m., Prairie Grass Cafe guests aged 21 and over will be offered complimentary 2-oz. tastings of three featured craft beers ($10 minimum food order is required). The mainstay of Chicago craft brewing, Goose Island opened it’s doors in 1988. Founder John Hall knew that Chicago’s great water source would allow him to brew beers to rival the great European beverages. Tonight’s selections mimic those of Germany, England and Belgium. Brewed in honor of the Harvest season this copper colored ESB is made with Cascade hops and the richest Midwestern malts. A fruity American hop aroma and a toasty malt character make Goose Island Harvest Ale an extra special beer worthy of your devotion. Green Line Pale Ale is the beer at the heart of Goose Island's environmental sustainability initiative. A honey-colored, immensely sessionable American pale ale with a pronounced, bright, American hop aroma and citrus flavor. 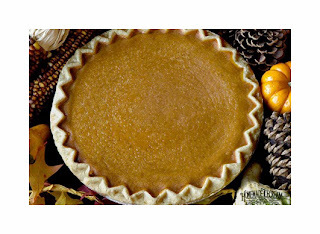 Bring home delicious, homemade pies from Delightful Pastries for all to enjoy this Thanksgiving. Whatever is your fancy, Delightful Pastries' new expanded pie menu will have something to suit your taste. Included are traditional selections like Apple Pie, Pumpkin Pie and Pecan Pie and the not so traditional Apple Caramel, Cranberry Fudge, Coconut Chocolate, and Bourbon Chocolate Pecan. All pies ($25) serve 8-10 people; are made from scratch and use no artificial flavors or preservatives. For those entertaining for the weekend, pick up a breakfast/brunch savory pie such as the Spinach Lamb ($58), Veggie Quiche ($42), or Ham Quiche ($42). Other items on Delightful Pastries' to go catering menu include: winter and grain salads, mini-pastry trays, international cookie trays and brownie trays. Pre-orders are recommended and package pricing is available. Orders may be placed at all three Delightful Pastries locations: 5927 W. Lawrence Avenue, in the Jefferson Park neighborhood (phone: 773-545-7215); the Old Town Chicago location at 1710 N. Wells St., just north of North Avenue (phone: 312-255-0724) and the Chicago French Market location at 131 N. Clinton Ave. (phone: 312-234-9644). Apple Pie - Butter crust filled with 2 pounds of Michigan apples from Schaeffer Orchards tossed with cinnamon and a light touch of sugar. Apple Caramel Pie - Apple pie filled and topped with our scratch made caramel. Cranberry Fudge Pie - Graham cracker crust filled with chocolate and topped with cranberries, a study in sweet and sour contrasts. Coconut Chocolate Pie - A gluten-free pie constructed with a coconut shell filled with creamy chocolate ganache. Bourbon Chocolate Pecan Pie - A delicious pie filled with pecans, bittersweet Belgian chocolate and a touch of bourbon. Pecan Pie - A delicious pie studded with half a pound of crunchy pecans. Brandied Pumpkin Pie - A traditional pumpkin pie baked with a touch of brandy and a side of cinnamon whipped cream. Spinach Lamb Pie ($58) French pastry filled with organic lamb and spinach, topped with gruyere béchamel sauce. Veggie Quiche ($42) Made with leeks, spinach, onions, mushrooms and Swiss cheese stuffed in a French pastry. Ham Quiche ($42) Baked with locally made Polish ham and Swiss cheese. Winter Salad ($50) Arugula, butternut squash, roasted beets, oranges, spiced walnuts and maple mustard vinaigrette. Grain Salad ($55) Wheatberries, chickpeas, celery, medjool dates, pickles red onion, mesclun mix and cumin vinaigrette. Mini-Pastry Tray (large $80; small $40) An assortment of mini eclairs, cannoli, fruit tarts, chocolate tulips, mousse cups, key lime pies, financiers, macarons, pana cotta, lemon meringue tarts. Brownie Tray ($25) 40-piece tray of our assorted bars and brownies, all bite sized, perfect for a party or business meeting. International Cookie Tray ($30) Viennese Almond Crescents, Mexican Wedding Cookies, Kolaczki, Italian Rainbow Cookies, Sprinkle Cookies, French Macarons. Package #1 $150, serves 10 people - Veggie Quiche, Butternut Squash Soup, Winter Salad and 1 pie of choice. Package #2 $190, serves 10 people Ham Quiche, Butternut Squash Soup, Grain Salad, 1 pie of choice and a small mini-pastry tray. Whisk the puree till nice and smooth, whisk in sugar, spices and alcohol of choice. Then whisk in the eggs, yolk and half and half. Serve with whipped cream that has been sweetened about 2 oz powdered sugar per quart of whipped cream, and a dash of cinnamon to compliment the flavor of the pumpkin pie. Saturday, November 23, 2013 @ 6:00 p.m. 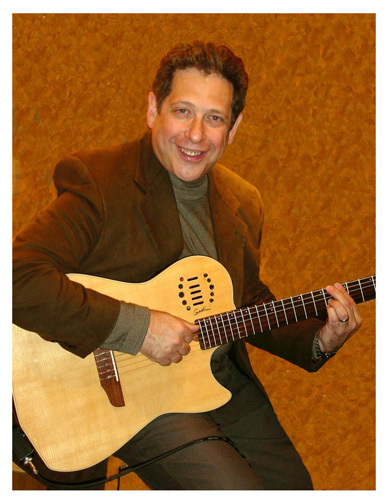 Noted Chicago jazz guitarist and Chicago French Market favorite, Chris Goranson returns 11 a.m. to 2 p.m. Wednesday, October 23 for the market's lunch time entertainment. 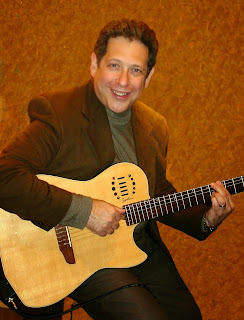 Goranson is a guitar teacher with a degree in Jazz Performance from Northern Illinois University. Currently, he plays in a rock band called OurGlass, who recently performed for JBTV. Catch him from 11 a.m. to 2 p.m. on Wednesday, October 23 at the Chicago French Market. Prairie Grass Cafe, located at 601 Skokie Boulevard in Northbrook, Ill. (telephone 847-205-4433), continues its special celebration for beer lovers Craft Beers Tuesdays, tomorrow, October 22, featuring Lakefront Brew. Founded in 1987 by brothers Russ and Jim Klisch, grandsons of a former Schlitz brewery truck driver, their little operation has grown into one of the mainstays of Midwest Brewing. Beginning at 5 p.m., Prairie Grass Cafe guests aged 21 and over will be offered complimentary 2-oz. tastings of three featured craft beers ($10 minimum food order is required). The three Lakefront beers being featured are: Fixed Gear, Pumpkin Lager and 25th Anniversary Imperial Stout. Fixed Gear is a big, bold American red ale. A brilliant floral-citrus aroma, thanks to an aggressive dry hopping, caramel flavors balance the citrus bite that comes from Chinook and Cascade hops. Pumpkin Lager - using real pumpkin and a proprietary blend of spices made here in Milwaukee for us by the acclaimed Spice House, our brewers lager this beer for 4 full weeks. This extra time gives the Lakefront Pumpkin Lager a deep, smooth richness that no ale can match. 25th Anniversary Imperial Stout - a rich imperial stout with cocoa nibs, vanilla beans, and cherry purée. 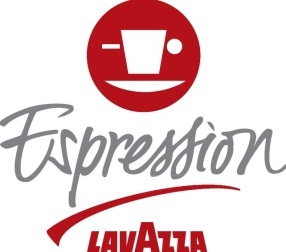 A strong chocolate aroma arises, followed by sweet malt and mild tart cherry. The full, dense mouthfeel yields a malty sweetness followed by chocolate, cherry, and vanilla flavors, then finishes with a slight alcohol warmth, leaving roasted malt and chocolate notes until the next sip. Brewers change every Tuesday throughout October, giving guests the opportunity to enjoy tasting fifteen different artisan beers throughout the month, which has five Tuesdays in 2013. Prairie Grass Café will add a tasty element to Craft Beer Tuesdays with some special appetizers, especially chosen to accompany the craft beers. Enjoy the Local Heirloom Luxury Pie Pumpkin Fritters with cinnamon pumpkin butter ($7.50) or the Crispy Brussels Sprouts with basil remoulade, parmesan and local bacon (photo left; $8.50). Both appetizers are perfect for sharing. Waterleaf Restaurant, 425 Fawell Boulevard in Glen Ellyn, Illinois (telephone 630-942-6881) will host a special wine dinner featuring Perrin Family (Famille Perrin) Rhone wines, including their Beaucastel, Famille Perrin and Tablas Creek wines, at 6:30 p.m., Thursday, October 24. The four-course dinner will include dishes from the new fall menu prepared by Executive Chef Nadia Tilkian. The price is $85 per person, plus tax and gratuities. The Wine Dinner begins with a Champagne reception, followed by a first course of Warm Brie Flan with upland cress, poached pear, hazelnuts and Champagne vinaigrette paired with a 2012 Famille Perrin Reserve Blanc, Cotes du Rhone Valley. The second course features Petite Bouillabaisse with lobster, mussels, halibut, fennel saffron broth, crouton and rouille, paired with a 2010 Tablas Creek Vineyard, Esprit de Beaucastel, Paso Robles. The third course is Braised Beef Short Rib with crisp-potato galette, asparagus roulade and porcini jus, paired with a 2010 Coudoulet de Beaucastel, Cotes du Rhone Valley and 2010 Château de Beaucastel, Chateauneuf-du-Pape. The finale is a Chocolate-Espresso Cake, with chocolate ganache and shaved almond brickle. About Perrin Family Wines The Perrin Family is the leading organic wine grower of the Southern Rhone Valley. With numerous vineyards in the Rhône region's finest wine growing lands including Cairanne, Jonquieres, Valreas, Vaison la Romaine, Gard, Gigondas, Clos du Chateau, Beaucastel, and Sarrians, Famille Perrin produces a wide-ranging collection of blends made from Grenache, Syrah, Marsanne, Roussanne, Bourboulene, Ugni Blanc, Vermentino, Viognier, Cinsault, Mourvèdre, Muscat, Rolle, Carignan and Clairette grapes. The result is a well-deserved worldwide reputation for excellence. important story because it was an event of tremendous importance to Jewish, European, and Western history, and as such, is still important today, in knowing who we are and where we come from," said librettist Peter Ullian. "That said, living in a time as fraught as ours, a time of peril, violence, authoritarianism, sectarianism and genocide, a story about people trying to hold on to what makes them human, to bear witness to horror, and to struggle to make difficult moral choices, has a strong contemporary resonance." 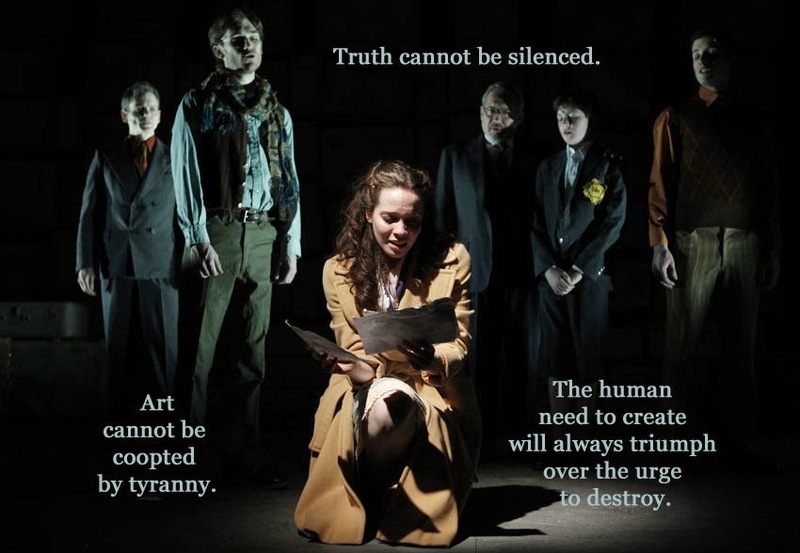 "It's a story about what it's like to be caught in a web of tyranny and deception, and what people do mentally and emotionally to survive it; we want people to see it not only as a Holocaust story, but as a human story," said Virginia S. Criste, creator. The inception of the musical began when Criste chose to visit the ghetto Theresienstadt, located in what was then Czechoslovakia, to learn more about her grandparents, who spent their last days there. At that time, there was only a small exhibit and a depository of artifacts that they allowed her to view in the company of a Museum official. "Spending a day with the remnants of hand-drawn posters announcing show performances, cabaret tickets, albums of dorm life, and so much more was hard to forget," stated Criste. Leaving Theresienstadt, Criste continued to think about the inhabitants of the ghetto, not just of the horrors they faced, but also about how they strove to keep music and theatre alive as a vital part of their captivity. She commissioned composer Joel Derfner, lyricist Len Schiff and librettist Peter Ullian to come together and shape the musical, with direction by Jeremy Dobrish. 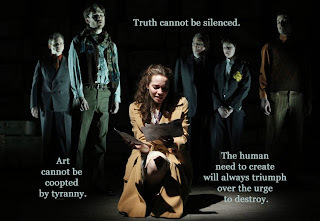 Writing a musical about captives living in a ghetto during the Holocaust is not an easy task; the authors had to take a heartbreaking time in world history and turn it into a human story, a story infused with the life, spirit, and even humor of the people who lived these events. "When I describe it to people, they often think it sounds terrible," said director Jeremy Dobrish. "But if you actually think about it, they say that with musicals, the characters, happy or sad, should sing when the emotions are so big that speaking just isn't enough. And what situation could there be where the emotions are more heightened than this?" And when people see Signs Of Life, they see the emotion and humanity of this piece. "We got very positive feedback from our first regional production at the Village Theatre in Washington. I think people were very moved by it, and interested in the story," continued Dobrish. As a ghetto filled with artists, musicians and thespians, among others, a great deal of artwork arose from Theresienstadt that still exists today. Signs Of Life incorporates a number of pieces from the original artwork. "We want to use the visuals available to us to help tell the story," commented Criste. 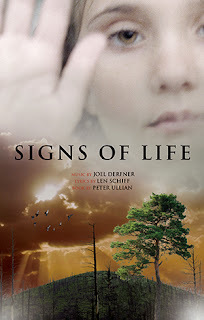 Signs of Life - A New Musical, runs through October 27 at Victory Gardens Zacek McVay Theatre. The show is produced by Virginia S. Criste and Snap-Two Productions in association with Joan P. Rubenfeld. It is directed by Lisa Portes. Music is by Joel Derfner and lyrics are by Len Schiff. The book is by Peter Ullian. Tickets are $45 to $65 and may be purchased at the Victory Gardens box office here or by calling 773.871.3000. 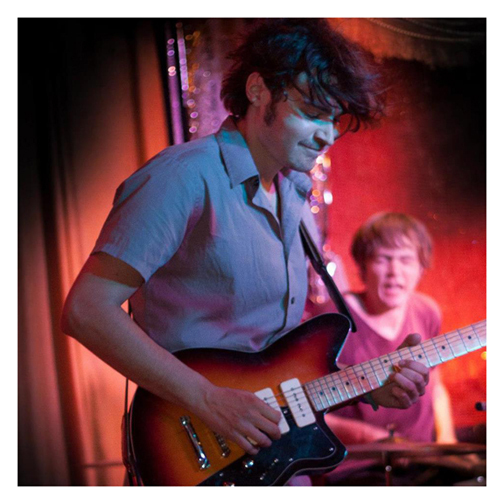 Lee Alec Barrie is a contemporary jazz guitarist whose style has been compared to Larry Carlton, Chuck Loeb and other popular contemporary jazz guitarists. Barrie was professional by age 14, starting out with a teenage rock band, playing Beatles, Beach Boys and Chuck Berry tunes plus some classic R&B. These early musical relationships lasted well into his twenties and he had the privilege of recording with Lipps Inc., a Minneapolis-based band best known most for its number one hit "Funkytown" in the late 70's. Barrie's evolution as a guitarist was accelerated when he began to experiment with a Roland guitar synthesizer, which allows his electric guitar to take on the sound of a wide range of instruments. He now has the opportunity to solo as a saxophonist, flutist, organist, violinist and many others, all while playing on the guitar. He chooses the instrument based on the style and mood of the song. Barrie's idea for a "virtual band project"-whereby he plays solo over his pre-recorded jazz backing tracks-evolved naturally. Having taken a break from professional performances for a number of years, he became a self-taught jazz pianist, which gave him the technical and musical skills to arrange and record his own instrumental backing tracks at his home recording studio. A lunch hour featuring the live music of Lee Alec Barrie, 11 a.m. to 2 p.m. October 19 is sure to be an energizing and memorable experience. Our own Lee Barrie is performing at Chicago French Market tomorrow. Stop by Chicago French Market tomorrow (Saturday, October 19) for its Lunch Hour Music (11 a.m. to 2 p.m.) and see Kurman Communications' Lee Alec Barrie in action. In addition to Lee's terrific brand-building, writing and management skills, he's an awesome contemporary jazz guitarist whose style has been compared to Larry Carlton, Chuck Loeb and other popular contemporary jazz guitarists. Lee was professional guitarist by age 14, starting out with a teenage rock band, playing Beatles, Beach Boys and Chuck Berry tunes plus some classic R&B. These early musical relationships lasted well into his twenties and he had the privilege of recording with Lipps Inc., a Minneapolis-based band best known most for its number one hit “Funkytown” in the late 70’s. Lee’s evolution as a guitarist was accelerated when he began to experiment with a Roland guitar synthesizer, which allows his electric guitar to take on the sound of a wide range of instruments. He now has the opportunity to solo as a saxophonist, flutist, organist, violinist and many others, all while playing on the guitar. He chooses the instrument based on the style and mood of the song. Lee's idea for a “virtual band project”—whereby he plays solo over his pre-recorded jazz backing tracks—evolved naturally. Having taken a break from professional performances for a number of years, he became a self-taught jazz pianist, which gave him the technical and musical skills to arrange and record his own instrumental backing tracks at his home recording studio. Labels: "Lee Alec Barrie" "Chicago Jazz Guitarist" "Larry Carlton" "Kurman Communications" "Chicago French Market" "Chicago music" "Lee Barrie" "Got Buzz"
Save the Date! 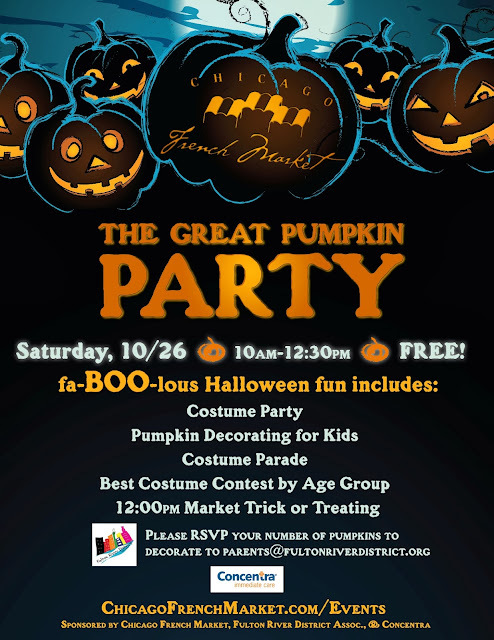 October 26 - Chicago French Market's Great Pumpkin Party! Waterleaf restaurant (425 Fawell Blvd., Glen Ellyn, 630-942-6881) is offering a special three-course prix fixe dinner menu in celebration of Oktoberfest, Wednesday, October 16 through Saturday, October 19. The special Oktoberfest menu includes a first course of Gnocchi with Parmesan sauce and prosciutto paired with choice of Lagunitas PILS Czech Style Pilsner or Two Brothers Side Kick Extra Pale Ale; entrée of Braised Beef Short Rib in French country Ale paired with Lagunitas Little Sumpin "Sumpin" Ale or Two Brothers Domaine DuPage French Country Ale, and dessert, Peche Mel Belgium Ale with Peach Juice from Brasserie Dubuisson from Belgium & ice cream floater. The cost is $38 plus tax and gratuity. Waterleaf Executive Chef Nadia Tilkian is offering a series of fall cooking classes at Waterleaf (425 Fawell Blvd., Glen Ellyn, 630-942-6881) beginning with a class on braising, 10 a.m. to noon, October 26. Nadia will be teaching guests how to prepare Braised Beef Short Ribs and Pork Shoulder. The cost of $35 per person. Additional cooking classes will be held throughout the fall including a Nov. 16 class on "How to Make the Most of Your Thanksgiving Leftovers" and one on December 14 on "Entertaining Made Easy". All classes are held from 10 a.m. to noon. Details will be available on the Waterleaf website at http://www.waterleafrestaurant.com or by calling the restaurant at 630-942-6881. Every Tuesday in October enjoy a complimentary sampling of three local beers at Prairie Grass Cafe, 601 Skokie Blvd, Northbrook. Call (847) 205-4433 for reservations. This week's Featured Brewery is Five Rabbit Brewery from Chicago. Under two years old, Five Rabbit is a newcomer in Chicago’s craft brew scene. Founded by Andres Araya and Randy Mosher, 5 Rabbit has set out to celebrate the rich tapestry of Latin American culture and cuisine. But despite their inspiration, all the 5 Rabbit beers have a 21st century point of view. An elegant take on a classic golden beer. A base of high-quality malt contributes caramel and honeyed notes, and these are balanced by a brisk, clean bitterness. Wheat beer fermented with Muscat grape must and almonds. This beer will pair well with our crab cake or a lighter fish like the Whitefish. Deep amber-colored ale with complex caramel with a long dry and spicy finish. A small amount of roasted ancho chile is used to complement the toasty malt aroma, adding a fruity-toasty depth without heat or strong chile flavor. October 22 will be Lakefront brew – founded in 1987 by brothers Russ and Jim Klisch grandsons of a former Schlitz brewery truck driver their little operation has grown into one of the mainstays of Midwest Brewing. Did you always want to learn about teas? Now's your chance. In Bello Tea's "Tea Basics 101," students will learn about different types of teas, herbals, tisane, and other botanical drinks; how different teas are processed and what are their health benefits? You'll learn the proper method for brewing hot and iced teas. Learn how to observe the appearance of tea leaves prior to and after brewing and taste the flavor and smell the aroma of these authentic drinks. Students will learn how to adjust the tea brewing to their personal taste. The class takes place at the Chicago French Market, 2 p.m. to 3 p.m., On October 16. The class is only $25 per person. 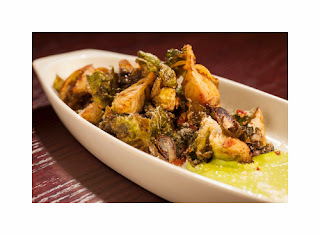 Reservations are required by calling 312-380-0707. Can't make the class? Bello Tea also hosts private tea parties. 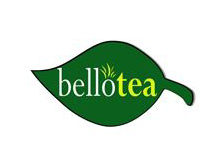 Bello Tea has added several new fall drinks to its menu including the Gingerbread Tea Latte, the Pumpkin Spice Tea Latte, and the Pumpkin Spice Bubble Tea. Bello's fall offerings will be having you come back frequently throughout October. "The Gingerbread Tea Latte is amazingly delicious, says owner Tammy Reddy. "And what could be better than pumpkin pie flavor in a warm cozy drink? The Pumpkin Spice Tea Latte with its seasonal blend of pumpkin pie spices and other natural flavors is a yummy fall drink addition to our menu." City Fresh Market has added two new items to its Tuesday lunch menu. The Chevap Sandwich includes house-made grilled Pork and Lamb Sausages, Roasted Red Pepper Relish, Butter and Parmesan Spread on homemade Pita Bread, and the Serbian Burger (Pljeskavica), made from the same meats as the Chevap but in patty form with the same toppings and pita. Both are only $5.99 and available on Tuesdays only. City Fresh Market also has added a fresh "make your own" Salad Bar. Choose from a wide variety of greens, assorted vegetables, an array of toppings and salad dressings, $7.99 per pound. A nostalgic blend of artisan crafted pumpkin butter, steamed milk, and smooth espresso. Wrap your scarves around your neck and your hands around this seasonal specialty. Fresh apple cider infused with caramel and steamed to perfection. Superior Nut and Candy has added an assortment of Halloween items to its already impressive collections of chocolates, assorted candies and fresh-roasted nuts. It also is offering Hand Dipped Caramel and Candy Apples this October. Wisma chef/owner John des Rosier has expanded his jarred and canned product line. Wisma is now selling 16 oz. jars of specially made Mayonnaise ($6) and Parmesan Aioli ($6) at the Chicago French Market. Ten ounce jars of Garlic Mustard and a Beer Mustard are available for $5 each. Chef des Rosier also has introduced a selection of rubs for meats and fish, $6.95 per jar.